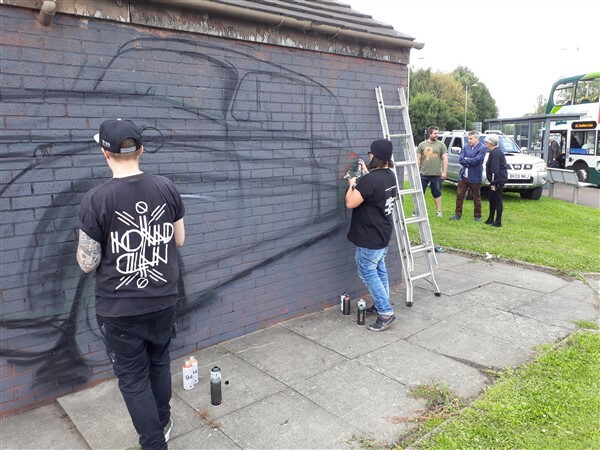 Jeff Smith MP visited the Khazi project to see first-hand the work of 2 of Manchester’s leading street artists, Qubek and Nomad Clan. 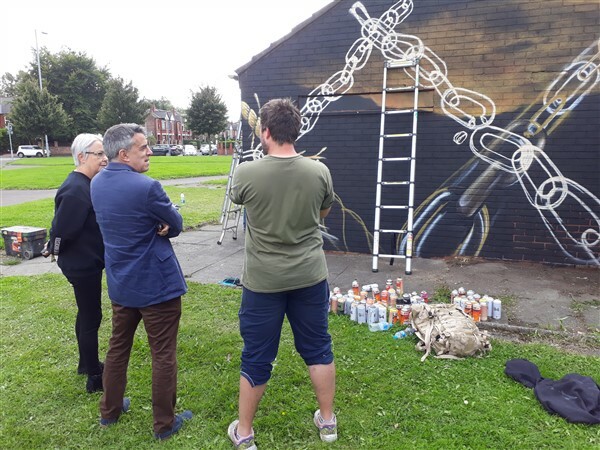 He enjoyed his visit and spent a while chatting to the artists who gave him an insight into their work and how it is undertaken. 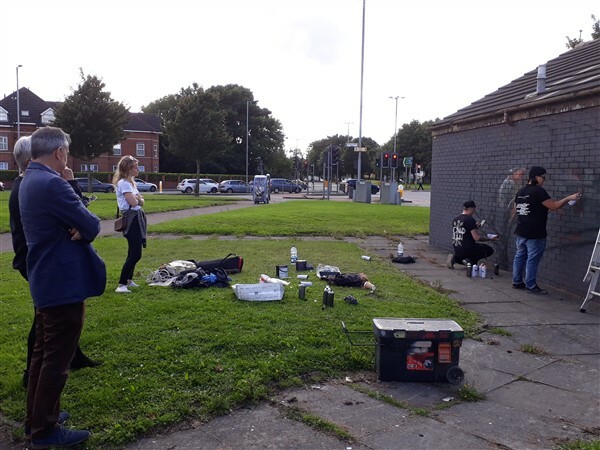 Jeff is involved with TMLF in other projects for Street Art in Withington and Didsbury, which are still at the planning stages.